Listed below are homes for sale in Benbrook, TX, updated daily from the MLS. For more details about any of these Benbrook, TX, homes for sale, click the "Request More Information" button on the property detail page of each listing. We can provide you with past sales history, disclosures, dates and prices of homes recently sold nearby, and more. Benbrook, with a population of approximately 25,000, contributes much of the city’s growth and stable financial position are due to growing housing values, vibrant healthcare, utility and energy sectors. Growing employment, low taxes and quality public services have led to one of the highest citizen satisfaction ratings in the Nation. In 1947, U.S. Army Corps of Engineers began construction of Benbrook Dam reaching completion in December 1950 and impounding water in 1952. 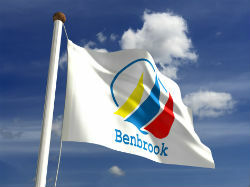 Benbrook Lake provides municipal water supply for the cities of Benbrook, Fort Worth and Weatherford. At normal water levels, the Lake covers approximately 3,770 surface acres. All land around Benbrook Lake is public property owned by the Corps of Engineers. Enjoy Beautiful Parks, Hiking Trails, Picnic Areas, Camping, Boating, Fishing, and Permit Hunting. Benbrook is also home to Benbrook Stables. One of the oldest facilities in the Benbrook area. Benbrook Stables is a full service, family oriented Equestrian Center featuring Trail Rides, Riding Lessons, Boarding, Summer Camp and Special Events. Whether you’re looking for a Home in an Older Established Neighborhood, New Development, or Somewhere In Between, Benbrook may be your Perfect Spot!